Disco Dannii Minogue knew what she was doing when she threw her support behind Blackpool native Aiden Grimshaw during the 2010 edition of Britain’s ‘X Factor’. With his unfeasibly good looks and down to earth demeanour, he won many fans across the UK, but not quite enough to see him all the way through to the end of the competition (he finished ninth). But Simon Cowell obviously saw enough in the brown-eyed performer to sign him to a deal to release his debut album – ‘Misty Eye’ – which will drop at retail in Britain next month. 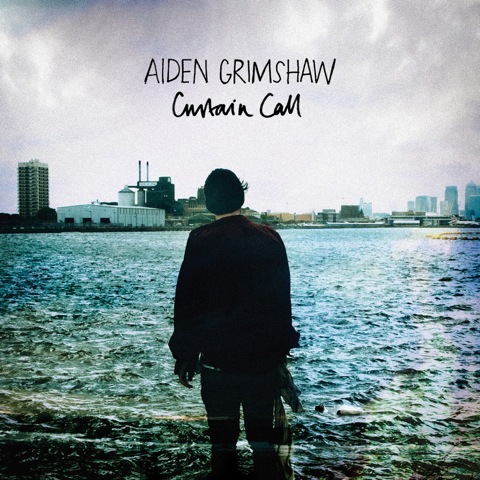 Single No.2 from it is ‘Curtain Call’, a slow-tempo pop song with big diva guest vocal in the chorus that contrasts beautifully with Aiden’s soft indie vibe.